Rate this Article Is VivePort the future "Steam" for VR games? In this article, we launched an investigation to find out! Valve has recently announced a new content platform that would cater specifically to VR and the HTC/Valve VIVE. The recent release of Valve’s Virtual Reality headgear entry into the VR industry has created a lot of commotion on the future potentials and upcoming content products that will run on the VIVE. In a joint venture with Taiwan based HTC Corporation which happens to be one of the biggest and oldest Asian companies to be involved in electronic communications, Valve has come up with what can be described as the currently highest-ended Virtual reality headset system for the PC. Compared to its closest rival the Oculus Rift, the Valve HTC VIVE outshines the competition on several points mostly on the technology side of the VR spectrum. The use of lasers to pinpoint the position of the headset with almost perfect accuracy and the optical VR technology which eliminated as much as possible the nauseative motion effects of movement in the virtual environment among others things has clearly placed the VIVE as the current defacto VR system by which others are measured with in terms of VR technology. The need for content for both the VIVE and not far behind Oculus, has spurred developers to rush in coming up with products for the PC based VR systems as well as the console and mobile markets. This continues influx of content produced would definitely need a support and distribution platform specifically for VR game and applications. Almost all VR systems released commercially make it a point to provide in one way or another, an online platform for their customers and users and both Valve HTC and Oculus are no exceptions. Oculus has Oculus Home which happens to have a very friendly user interface platform (except for their no refund and no return policy). Oculus users can purchase/download content directly from Oculus and at the same time from Valve itself via Steam VR. Valve/Steam on the other hand has a wider selection of content with regular Steam that handles mostly game content for the PC and Console market. Steam VR serves as the content distribution platform for both VIVE and Oculus games and applications. In fact, any VR headset compatible with the two would probably be able to run content from Steam. Valve’s business model where your competition is also your business partner and which has been proven with the success of Steam has created a paradigm of everybody working together for a win-win result. Oculus is in competition with Valve yet very much in business with Steam. The Rift maybe slowly eating away at the overall sales of the VIVE due to its lower price but Oculus users download their VR content mostly from Steam via Steam VR. This brings us to HTC and the VivePort platform. Make no mistake, VivePort is a platform of Valve in partnership with HTC. VivePort is an extension of Steam VR. It handles VR content which will run on the VIVE and compatible VR headsets. VivePort works like Steam VR and is and will be available in countries where Steam does not and is prohibited to operate. Namely, China. VivePort under HTC has been operating under alpha in China for already a couple of months. VivePort allows Chinese VR content to be distributed in China and other Asian markets. China’s massive VR market and the amount of content that needs to be distributed is huge and VivePort will be what Steam VR is to the US and the western world. Chinese-speaking Asian gamers will have access to the VR games and applications which they can run on their VIVE-compatible, “Made in China” headsets too. Likewise, western users will have access to the myriad of much cheaper content developed in China. This will give gamers in Asia and other parts of the world a less costly alternative to Steam VR and other western portals. HTC has been very aggressive in positioning the VivePort as the global access platform for VR content. Recently bringing together 28 of the world’s top venture capital firms involved with the VR industry, HTC has announced the formation of the Virtual Reality Venture Capital Alliance (VRVCA). The alliance and member’s together sum up an amount of over 10billion USD aimed at supporting the accelerated growth of the VR industry at a global scale. The alliance provides venture capitalist to work together instead of competing with each other by investing in start-up firms that will drive and shape the future of the VR industry. The alliance and HTC will identify the most promising VR start-ups, bring in needed capital and help them commercialize their products and achieve profitability. The VR industry in China is currently focusing on creative VR content, vertical applications and entertainment. HTC and the VRVCA have announced their Vive X Global VR Accelerator Program and associated $100 million fund which was launched last April to invest in the development of products (both hardware and software) to speed-up the VR industry. With around 1200 applications from more than 30 countries all over the world, supported star-ups will have access to the one-stop global go-to-market platform. VivePort. 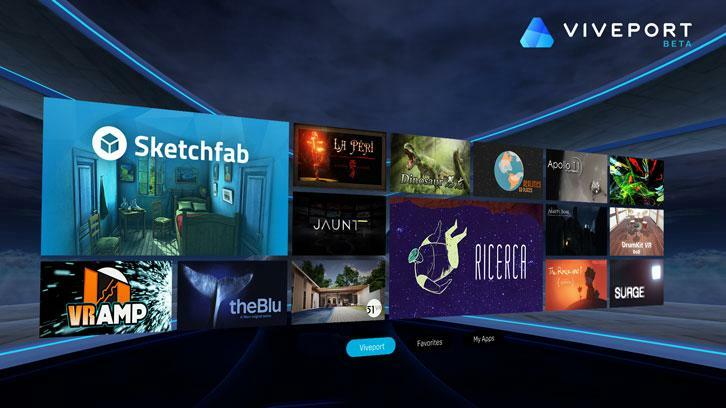 Feature-wise, VivePort is not that much different from Steam VR or Oculus Home but the market and number of contents will definitely be immense. For the VR gamer, a global alternative to the current platforms would be a huge welcome and hopefully much more affordable option for another distribution method. For HTC, it would be the probability of leading the future of the VR industry.